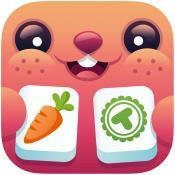 Toonia TwinMatch is based on a traditional Mahjongg Solitaire Game with a simple game play, adapted for children. The goal of the game is to match pairs of animals, fruit, vegetables and space monsters. Toonia TwinMatch includes a variety of themes and layouts and grants hours of unforgettable fun for kids and parents.